Winter is still trying to hold strong. But despite the lingering cold and the random flurries of snow that we had a few days ago, I am ready for margaritas, lime, tacos, and salsa verde! 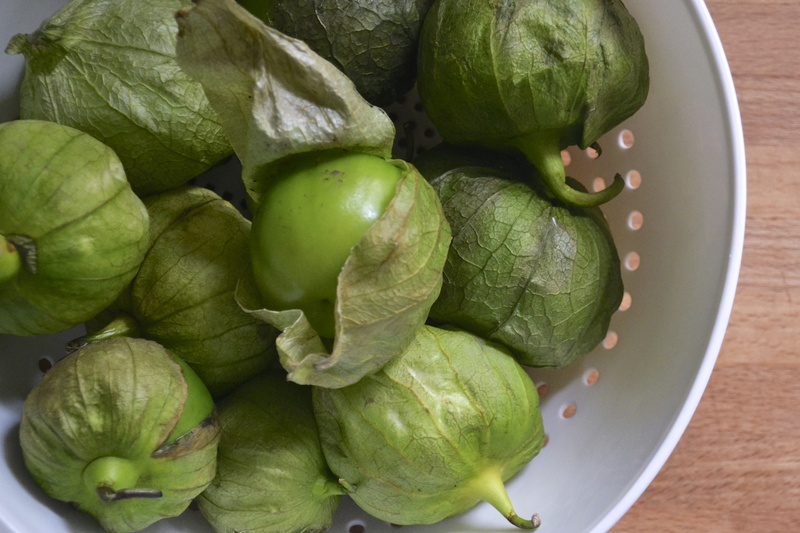 Salsa verde is a simple tangy green sauce made from tomatillos. It is amazing drizzled on nearly anything. Growing up in Oklahoma, I was blessed with access to great mexican food. It became my staple for preparing easy dinners. 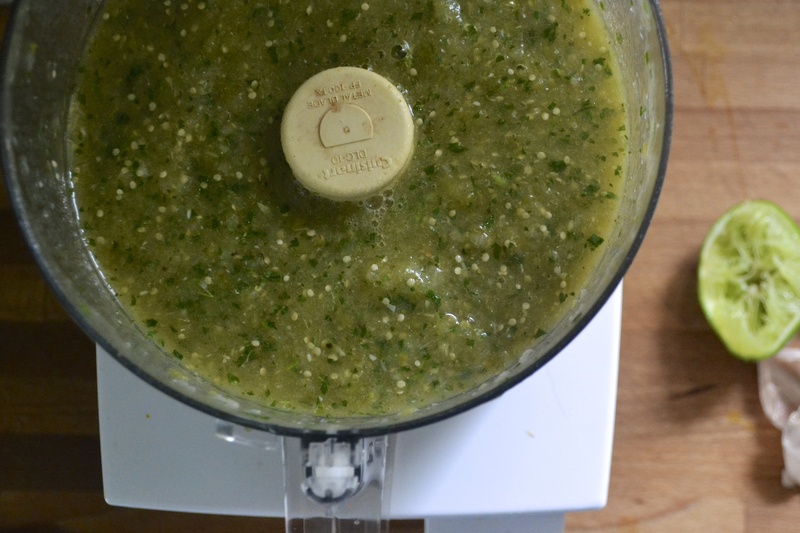 Tacos, enchiladas, carne asada, tostadas…but then you add salsa verde and magic happens. Whoa! Just wanted to share this recipe with you! Now if you will excuse me…I have a margarita to attend to. Mmmm. 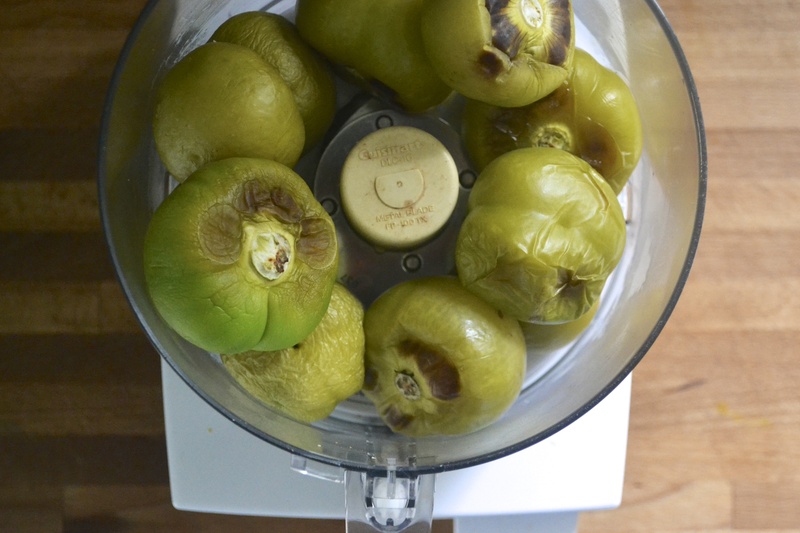 Preaheat oven to 400 F.
Remove husks from tomatillos. Place tomatillos, onion, jalapeño, and garlic on roasting pan. Roast for 15 to 20 minutes. Remove from oven and allow to cool slightly. Add all ingredients to bowl of food processor. Process until smooth. Serve with chips, on roasted chicken, or as a sauce for enchiladas.